When Jesus said “come follow me,” he wasn’t heading to Sunday school. He was on his way to heal the sick, befriend a tax collector, stand up for an adulteress, and proclaim good news to the poor. Discipleship and mission go hand in hand. You can’t have one without the other. And mission—impacting the community for Christ—is most effective outside the four walls of the church. So is discipleship in the church working? You may have heard that Millennials (those born after 1980) who were active in youth group are leaving the church in droves once they hit their twenties. According to David Kinnaman, “There is a 43 percent drop-off between the teen and early adult years in terms of church engagement.” According to Rainer Research, 70 percent of active youth group members leave the church by the time they’re twenty-two years old. Based on the current rate of departure, the Barna Group estimates that 80 percent of those raised in the church will be disengaged by the time they’re twenty-nine years old. Some people yawn at statistics like these. “Young people have always been less likely to attend than older people,” writes sociologist Rodney Stark. When they grow up and have a few kids, they’ll come back. They always do. No need to fret or change the way we do church. But that’s just it. They’re not coming back. Even though eighteen- to thirty-five-year-olds often have the lowest rate of church attendance, the dropout rates themselves are higher than ever before. And eighteen- to thirty-five-year-olds today live their lives much differently than previous generations: Fewer are getting married, even less are having kids. These, traditionally, are the life events that drive people back to the church. If we’re waiting for them to settle down and return to church, we may be waiting for a while. Not only that, but our Millennials are growing up in a world much different from previous generations. The Internet alone has produced unparalleled shifts in how people live and think. Many sociologists have compared these changes to what took place after the invention of the printing press back in the fifteenth century. Just as information and literacy spread at the speed of sound in the wake of the printing press, now information and power spreads at the speed of light. We have little clue about the long-term social, mental, spiritual, relational, and civil impact this will bring. We stand right smack dab in the center of the storm. 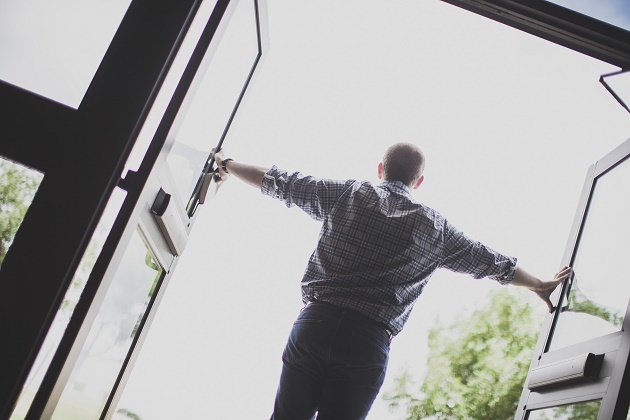 Some may say that people are leaving the church because they simply aren’t Christians. And this is certainly true in some cases. Churches will always have people who attend for a season but then realize that they’re not as much of a Jesus freak as they thought. But in many cases, people leave the church not because they had some beef with Jesus or were fly-by-night pseudo-Christians. 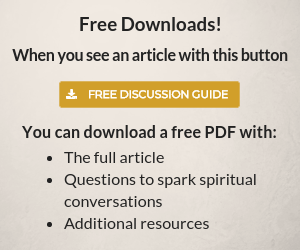 “In fact, 51% of teens who leave the church in their twenties say they left because their spiritual needs were not being met.” At least 23 percent say that they actually wanted to know more about the Bible when they were in church but didn’t get it. So they left. They left because they didn’t experience discipleship. They left the church to follow Jesus—that wild-eyed, hard-hitting, homeless peasant, who told the rich young ruler to give all of his stuff to the poor. The dechurched are leaving to do more, not less. The church isn’t asking too much of people; it’s asking the wrong things of them. . . . Jesus commanded his followers to care for the poor, the sick, and the hungry, yet the dechurched have experienced church as an organization that cares primarily for itself and its own members. Understanding Millennials and other dechurched Christians will be vital for our study. I’m going to make a case that many people would not leave the church if the church was doing a better, more holistic and creative job at discipling its people. 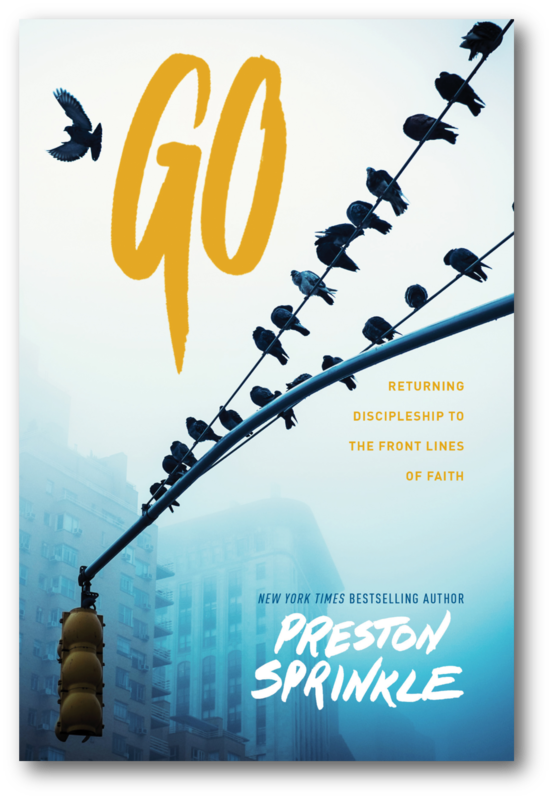 You’ve been reading from Go: Returning Discipleship to the Front Lines of Faith by Preston Sprinkle. Continue reading here. Drawing on a 2015 Barna Group study of the state of discipleship in the United States commissioned by The Navigators, bestselling author Preston Sprinkle provides a holistic, biblical response for discipleship, providing accessible tools for all those who are engaged in making Christ-followers in the 21st century. 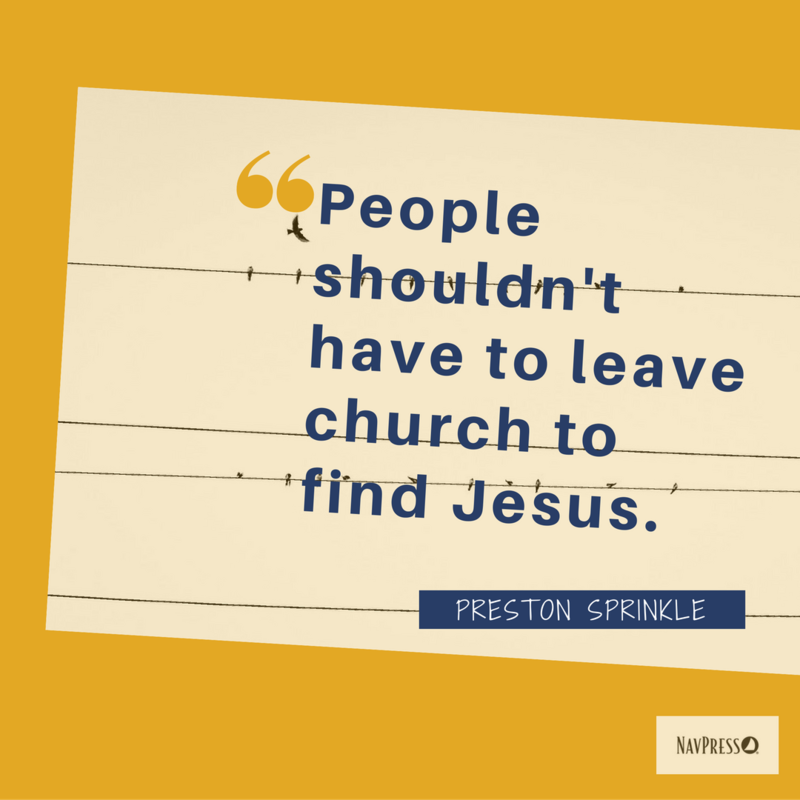 Check out Preston Sprinkle’s website here.